Subscription models are everywhere you turn. Netflix, Spotify, Amazon, they all have one. “The concept of auto ownership is about to be disrupted,” wrote Shep Hyken, Customer Service & Experience Expert and Author of The Convenience Revolution in comments to ConsumerAffairs. While car subscription programs haven’t reached the same level of consumer buy-in as a monthly movie or cloud storage subscription, they are starting to gain popularity. Porsche has one. General Motors and Ford, as well. Mercedes-Benz’ and BMW’s programs lets members swap one vehicle for another through a mobile app. Like any new consumer offer, there’s a learning curve as to what the consumer will latch on to. As the automakers try their subscription models out on the public, they’re finding that what may work for one brand doesn’t necessarily guarantee success for another. The 101-year-old carmaker has decided to go back to the drawing table with its “Canvas” subscription pilot according to Automotive News. "I've been surprised how few people are genuinely interested in that type of ownership," Robert Parker, Lincoln's director of sales and marketing, told Automotive News. Lincoln’s far from throwing in the towel, but there’s lots of work to do. 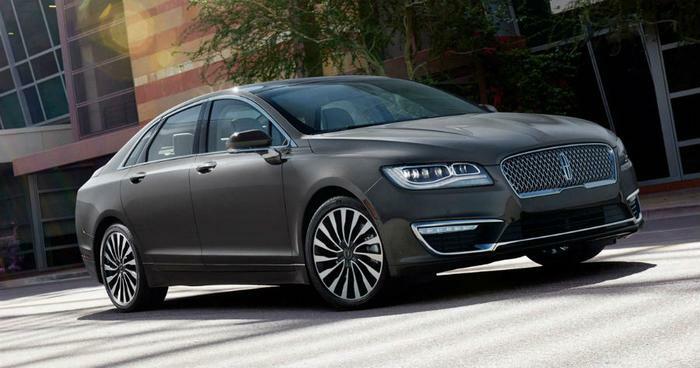 One competitive difference Lincoln is trying to craft is beating the others in price. BMW’s program starts at $1,099 per month, and Cadillac’s at $1,500 a month. To outduel the others at the price game, Lincoln’s Canvas program opted to offer off-lease vehicles instead of new ones, which brings down the monthly price from $329 for a sedan to $509 for a luxury car. But as anyone who’s ever bought a car knows, there are always extra charges beyond the advertised price. In Lincoln’s situation, the kicker seems to be the added monthly subscription charge. People who subscribe for a year or longer pay as little as $25 extra per month, but Parker said that most Lincoln subscribers were only looking for short-term subscriptions, like when they’re shopping for a new car. At that level, there’s as much as an extra $375 for a single month which jacks up the total cost to nearly $900, a lot to swallow for almost anyone. Where the auto subscription model winds up is anyone’s guess. According to a recent study by Autolist, the biggest appeal of a subscription service is the ability to switch between different types of vehicles easily, followed closely by the absence of a long-term commitment that’s usually required in a traditional car lease or loan.